The Millennium Ethical Fallacy: Why Ignore Future Children? The quest began in 2005, when Sachs, who directs the Earth Institute at Columbia University, started an ambitious program called the Millennium Villages Project. He and his team chose a handful of sub-Saharan African villages, where they imposed a series of “interventions” in such areas as agriculture, health and education. The idea was that these villages would show Africa — and the world — how the continent could loosen the grip that extreme poverty had on so many of its people. Sachs admirably raised millions, drew attention to efforts to alleviate poverty around the world, and launched Millennium Villages in several countries. 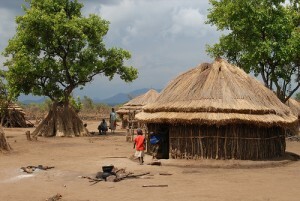 However, the reviewers hone in on the book’s discussion of many of the difficulties, such as drought, disease, locals who resisted the idea of selling their prized camels at the new markets set up for them, or locals who used the anti-malarial bednets on their goats rather than their children. It has soaked up large sums of money — the original seed money was $120 million — which its critics believe could have been better used on more targeted, less grandiose forms of aid. Because Sachs, for years, refused — on ethical grounds, he said — to rigorously compare the results at his villages with villages that didn’t get the same kind of help, development experts complained that there was no way of knowing if the project was making a difference. Sachs elaborates on his objection in a response to Nocera’s column: he specifically opposes the scientifically rigorous method of evaluation, the randomized control trial. Randomized control trials, just like those used in medicine, involve having a control group that doesn’t get the treatment, or gets an alternative treatment (or maybe a placebo). It’s helpful to have control groups nearby for reasons documented in the book – if people are no better off after the millions invested, was it the failure of the village’s new livestock market or the regional drought that affected all the villages in the area? Maybe people were worse off, but would have been even more worse off had it not been for the Millennium Villages? In this case, I would argue that ethics demands a randomized control trial, not the other way around. But I can see the child in the lake, I cannot see the child in Uganda. This is hardly an argument of ethics, but rather captures the psychology behind how and why we do make the judgments we make, as humans. And here, we see the same psychology behind Sachs’s argument against randomized control trials. He can see the child in the control group, and does not want to hold back giving that child a bednet. But there are many more “unseen” children in the world. We cannot, with current resources, give them all a bednet. Tough choices must be made. And, here is my main point, there are countless more “unseen” children in tomorrow’s world, and we need to know what to do for them with our scarce resources. So Sachs, under the guise of ethics, is unintentionally doing harm (by not doing the best that we can) to future “unseen” children, simply because they do not have the luxury of being within eyesight of one his Millennium Villages. This does not imply that any randomized trial is ethical: one has to trade off the knowledge gap that is hopefully to be (partially) filled with alternative use of the research money (specifically, in this example, the bednets that could be bought, if money were not spent on research). What if the money sent to the international aid charity won’t actually save a life? Maybe the idea is bad. Maybe the organization won’t implement it well. This is where evaluation can make important headways — in reducing this uncertainty. This is, again, an ethical call to do more rigorous research, such as randomized control trials, in order to convince the skeptical altruist to support effective programs. And to help the active altruist make the best choices. The comparison between the drowning child and sending money to an organization is not perfect. We always assume that plenty of other people are being solicited for donations by the organization so we don't feel fully responsible for the life being saved. When we see a child drowning and no one around to save them, the child will certainly die if we don't help him/her. As a matter of fact, research shows that people become systematically less charitable when they see someone in need but with many other people around them (maybe not in a case as extreme as a child drowning). Tweak the lake hypothetical: lots of people standing on the shore, not jumping in. There are other objections, FYI, but most just require then tweaking the hypotheticals, and the underlying dichotomy in our reaction typically stands. (But that wasn't the point of the post, so I didn't walk thru all the tweaks...). I understand the Singer hypotheticals and the parallels are clear. However, there is some aspect to the "Send $300" that is similar to "Jump in the lake if you cannot swim," or "Jump in the lake if there is a qualified paramedic diver next to you." If we know that jumping in the lake will save the child, we must do it. If we don't know what interventions work, it is harder to send the $300. Great point, couldn't agree more. What a pity, it's an opportunity missed. Well I hope there will be future experiments run with proper control groups. Not only might an expensive intervention not work, as you say, it might have such unforeseen negative consequences that it has a net damaging effect and the control village may be better off. One thing I wonder about with control villages, however, is that there could be shared effects: people in the experimental group might sell malaria nets to nearby people in the control village for example. It'll be a challenge, but fascinating. This American Life did a story on a a similar topic a month or two ago. They talked about the charity Give Directly, and compared them to the charity Heifer International. Heifer Int. provides education and training in how to take care of the cows they give to villagers, while Give Directly just gives them a check and lets the villagers decide what to do with the money. The founders of Give Directly came from a business background, and wanted to do studies and analytical to see what the best way to alleviate poverty is. A spokesperson for Heifer Int. said that they wouldn't participate in a study like that for the same reasons Sachs gave, that withholding help from some in an attempt to conduct a randomized trial would be unethical. Perhaps I'm being overly cynical here, but could part of the reason charities refuse to participate in randomized trials to see if their methods actually work be because if their methods were proved NOT to work, then people would stop contributing, and they'd be out of their jobs? Poverty? How presumptuous. Because they don't have tv, ac, or smart phones? What's the definition of poverty? Go out and find some random village somewhere without 1st world contact. Are THEY in poverty? No, they are just not living to OUR standards. Lets just throw money at everything! That's worked in the past, right? 1. Sachs doesn't like measurements. His ethical excuse is just that -- a copout. The Freakonomics books are full of examples where Levitt and Dubner used data mining of seemingly unrelated data to develop controls and draw conclusions or posit theories and solutions. Nonprofits that can't demonstrate their societal ROI to funders are reckless stewards and should not be rewarded with futher donations. 2. The $300 scenarios are interesting. But all news is local. A plane crash in Asia is not as newsy as a plane crashing in our backyard if you live in the U.S. The analogy is rational; but humans are not. The refusal to even contemplate a comparison make it sound like a scam where he knows he isn't getting results. There is no shortage of different groups trying to do good in Africa. So a truer comparison would be. 10 kids are drowning. You don't know if you are a good swimmer. Do you go in grab one kid try to make it to shore then go back for another, or do you swim to the center of the group let all 10 grab you and probably drown all of you, but a slight chance all will survive. I don't jump in the lake to save the drowning child because of any ethical obligation, I do it because 1) it will allow me to feel good about myself, and 2) will perhaps gain me the rewards of "heroism". Sachs also has a logical problem with his claim that "The ethical reasons are that ‘controls’ in a trial should not be denied basic, proven lifesaving interventions." The problem, of course, is that without controls he can't prove that his interventions are in fact "lifesaving", or that they don't have unforseen consequences that have worse effects later on. I think with retort #1, it's not so much that you can see the child drowning, it's that other people can see that you saw the child drowning and did nothing. There's an accountability factor there: you were there and you could have done something but didn't, and the child died. With giving $300 to an organization, there's no accountability factor. If a child dies somewhere far away, say from drowning, the accountability goes first to immediate family, then to the community, and higher up. The accountability does not go to some person far away who played no hand in raising the child or had no effect on the child's community. The perfectly ethical way to do this is called a "waiting list control". Imagine that you have money to provide services to 50 villages. If the number of interested and qualifying villages exceeds 50, then the excess villages are your control group. You couldn't serve them anyway, so you're not "denying" them anything. Moral philosophy has a concept of "proximity". The child in front of you actually does have a greater claim on you than the child halfway across the world. You have some duties to everyone, like the duty not to set off nuclear disasters that affect the whole world. But other duties are not owed to unseen and unknown people. There is some misrepresentation of randomized controlled trials here. Most RCTs include standard care as the control group rather than a no treatment group for exactly these ethical reasons. In this case standard care would be whatever else happens from humanitarian and governmental aide without the implementation of the millennium village model. Is the ethical question on randomized trials for the Millennium Villages and saving the drowning child/giving money to alleviate poverty really the same? I don't think so. A longitudinal randomized trial would mean choosing to leave several regions of people (each with a population of about 30,000, according to Sachs' response in the NYT) willfully without any sort of help or measures for years if not decades, just to see what would happen. That doesn't sound ethical to me. The ethical question that comes to mind is: Is it acceptable to let some people starve and live in poverty in order to be able to (maybe) save many other people? Is it alright to withhold basic help in the name of objective science? So, I think I agree with Sachs: a randomized trial is neither humane nor ethical. It would be more like playing God. "A longitudinal randomized trial would mean choosing to leave several regions of people (each with a population of about 30,000, according to Sachs’ response in the NYT) willfully without any sort of help or measures for years if not decades, just to see what would happen. That doesn’t sound ethical to me." But this is already happening with the Millennium Villiages (and other aid programs) -- except blindly. Unless you have enough resources to give an intervention to an entire population, you will have make decisions on who gets it and who does not. Therefore, you might as well include the people you were already leaving out and create a control group for an RCT. I strongly suspect Sachs doesn't want a control because many efforts at improving the developing world are not very successful. We've been pouring money into some countries for over 50 years, without lifting them out of misery or often, making much of a difference at all. It's very difficult to get reports on results compared to what's been spent because organizations don't like to admit that their interventions failed. It's been seven years. I suspect if the project was effective, it would have been obvious by now. Which brings me to my issues with the proposed ethical parallel: it takes a lot of hubris to say that we can save a child. I'd be very interested in learning if the child mortality rate has changed in Sach's villages compared to before and compared to neighboring, non-Millenium villages. « Previous PostHow Does the Value of Driving Differ Across States?